Goal: Go from ZERO to 10,000 “real” engaged followers (average engagement between 7-10% per post) on Instagram in 2018. This part is fun! ? An Instagram swipe file helps you to not forget the good stuff. It’s your private “go-to” collection of Instagram posts that really work. 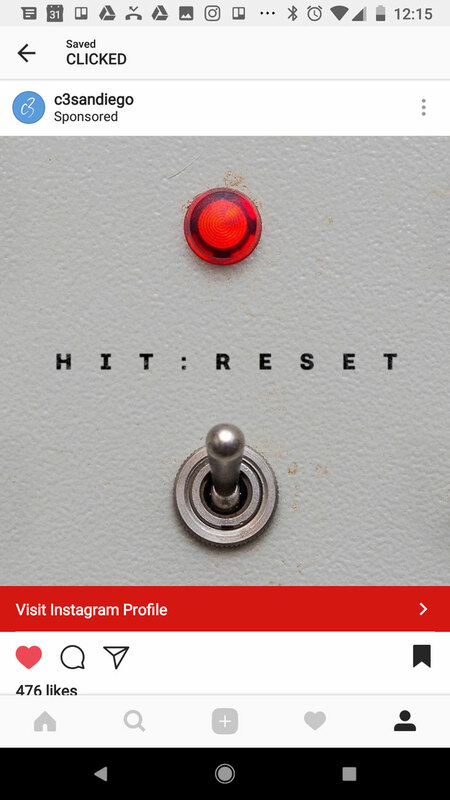 Promote Instagram ads that actually work. You know they do because you clicked them ? You already spend time scrolling Instagram. Why not have an organized way to save things? To organize your swipe file, use Evernote, Pinterest, or simply use Instagram’s Collections feature inside the app. When you are surfing a good Instagram account in your niche, switch from grid view to list view and scroll down a few months worth of posts. Look for the posts that outperform all of the other posts with likes. Save these posts so you know what content resonates most with their audience. It could also perform well with your followers. As I scrolled through top accounts in my niche, it became obvious that many of them used a clear call-to-action in their headline to get more likes/comments. This is the text at the beginning of your caption. It’s the only part others see until they expand your caption. Type “Yes” if you trust God. Type “Amen” if you believe. Type “Amen if you agree. How could you rework the examples above for your niche to get more comments/likes? Giving a clear action may be the difference between them commenting or not commenting on your post. Why not give it a try and see if it ups your engagement? Post types are the different types of content that people are posting. I keep at least one example of each post type I come across. Something new always seems to surface. If you have a spot to quickly save it, you’ll remember it later. It will come in handy as you tweak your content strategy. PRO HACK: Here’s a scary photo of me? behind the scenes. I was literally going nuts ? trying to visually plan my Instagram feed as a whole with apps like Preview App. I was sooo frustrated that I almost started printing my posts and cutting them out to plan my grid on the office floor. Am I crazy? Then the light bulb went off ?… what if I flip my monitor sideways (even though it’s not built that way) to see more of my Instagram feed. 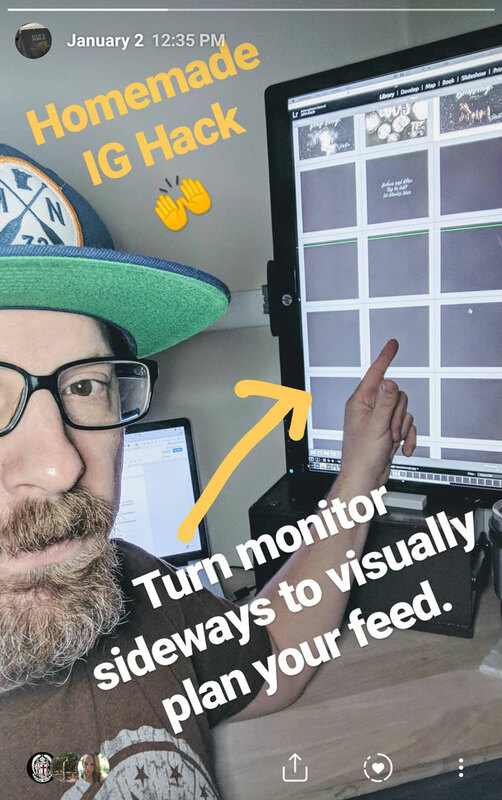 This gives me more vertical screen space to visually plan my feed. Then I just use Adobe Lightroom to drag-and-drop my post thumbnails! ? Problem solved. No extra apps needed. When you see a top post that’s relevant to your niche, look at the caption and first comment to see if they have a long list of hashtags. If so, they’ve probably done a lot of research to figure out the right hashtags to use. Save posts with good hashtags and try them out for yourself. We’ll also reference them in a later lesson. This one is pretty simple. If it’s something you could see yourself posting to your account later, save it to your repost collection. You can use these to inspire your own unique content or repost them to your account. 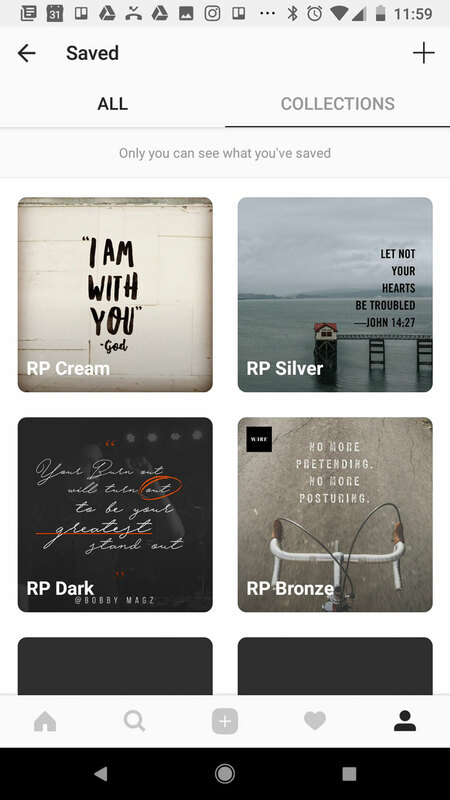 If you really want to get creative with your collection naming, you could create multiple repost folders organized by color, theme or content type. For example RP Black, RP White, RP Pink, RP Cats, RP Dogs, RP, RP Fashion, RP Tips, RP Quotes. 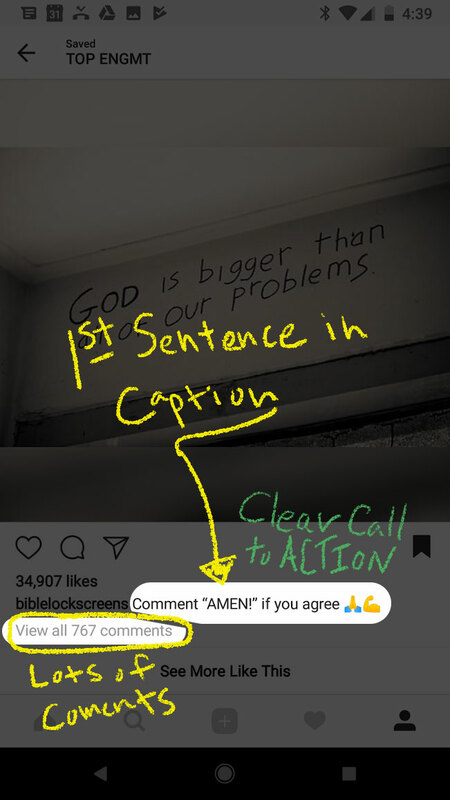 If you are scrolling your feed and a Sponsored post persuaded you to take action, you should save it. When it comes time for you to create Instagram ads, you’ll have a collection of things that really work. You know because you clicked them ? Profile Photo: Why did this photo stand out to you? Was it really dark, white, colorful? Was it a logo, or personal photo? Was it zoomed-in close, or zoomed-out. Was there a unique pose in the photo? What can you learn and apply to your own profile? BIO: Was there something in their bio that connected with you? Was it something personal they said, was it clever, was it very clear, was it broken up nicely into separate lines? Did you like the way they used emojis? What can you learn and apply to your bio? Name: Was it a business name? Personal Name? Was the name optimized with keywords? What were the keywords? 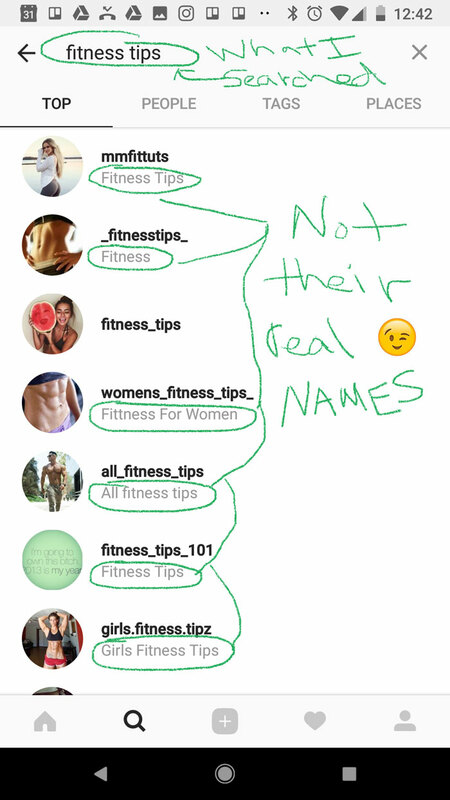 PRO HACK: Your Instagram username and name are the only two searchable items on your profile. 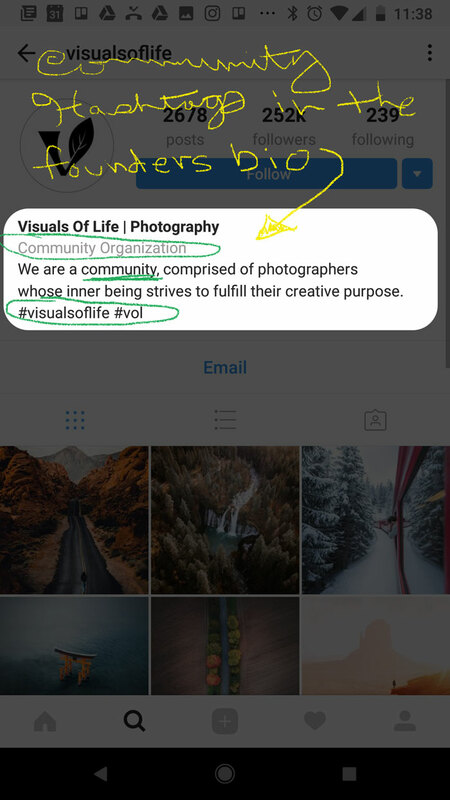 If you want more people to find you via Instagram’s search, consider adding a popular/relevant keyword or two to your NAME. For example, my name is John Koch. 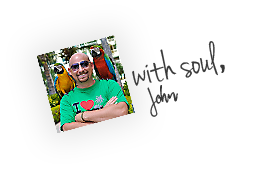 I might consider switching it to Johns Fitness Tips. 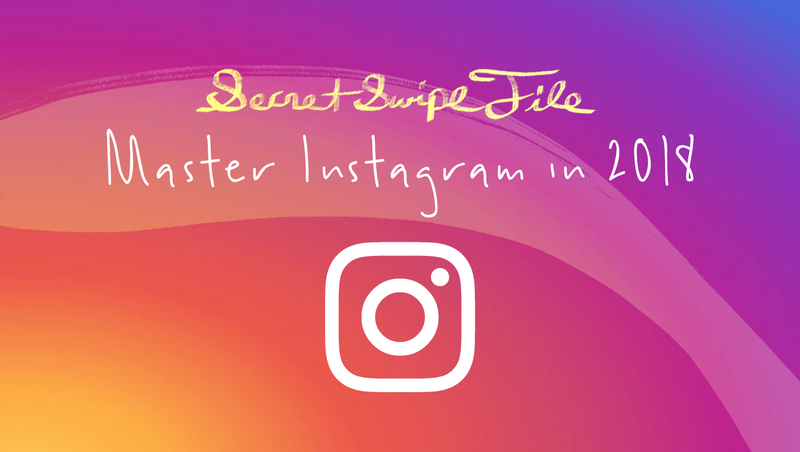 Now Over to You: What secrets are in your swipe file? You can leave a comment by clicking here.